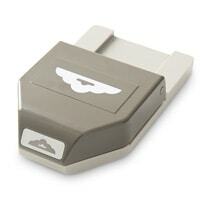 Did you know that we have a NEW designer series paper available? It’s true! Stampin’ Up! 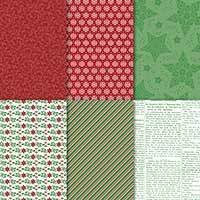 has released a previously exclusive designer series paper to all of us – and it’s beautiful! I love it ~ particularly a pink/red Victorian-looking paper that’s part of the pack. Aren’t these pretty papers? There’s even a green newsprint 🙂 The paper I used has our beautiful Cherry Cobbler as the basic color. And there’s a little surprise inside this treat holder: a tiny Snicker’s bite! The treat holder itself was made using a 2″ x 7″ strip of the designer series paper, with the top and bottom edges punched with the Scallop Tag Topper Punch. 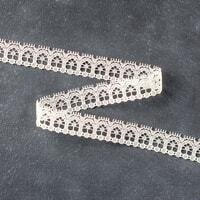 The little Snicker’s bite was glued down to the center of the strip and then the punched edges were pulled up together and tied in a bow with a piece of Very Vanilla Lace Trim. 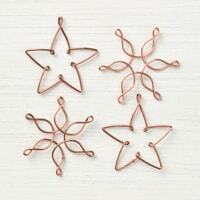 The bronze Snowflakes & Stars Wire Elements from the Holiday Catalog are so pretty. I tied one on the front of each of the treat holders. I’m going to make quite a few of these cuties to give out all through the holidays. Hopefully this gives you a little help for making your own treat holders! Be sure to get some of this pretty Dashing Along Designer Series Paper ~ you’ll love it!